Online Marketing Coordinator for Photo Tours – Job Description. Sursa aici. Via Transylvania Tours is an incoming tour-operator offering tailored made tours of Romania. We have tourists from all over the world and we specialize in cultural, photo, genealogy and food & wine tours. The company’s ambition is to offer positive and authentic travel experiences to foreigners visiting Romania and at the same time contribute to the sustainable development of Romania through responsible tourism. In the coming years we want to focus more on offering photo tours to foreign visitors interested in photography. A very good command of written and spoken English, this is very-very important. You are at the beginning of your career, either still a student (preferably master) or with up to 2 years of experience. Has visited most regions of Romania, is fairly knowledgeable of its history and can promote it proudly to foreigners. Committed, serious and very well organized. We expect you to commit to working with us for at least 2 years (of course if both sides are content). Previous job experience is not required but the above characteristics are very important. 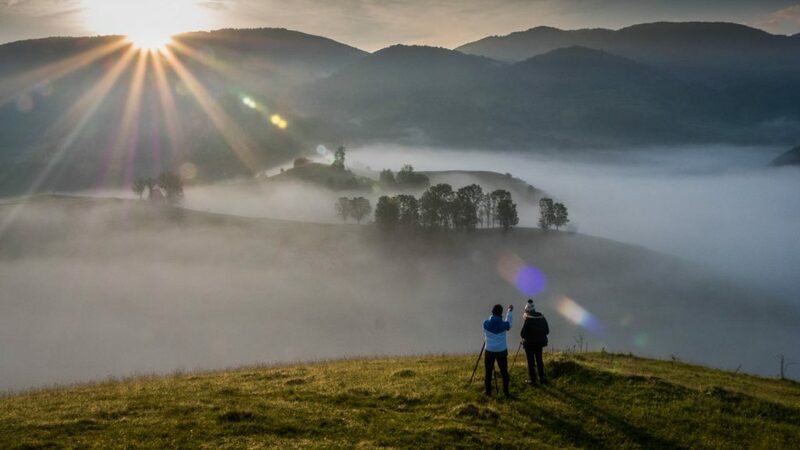 The job will focus on marketing photography tours to foreign visitors to Romania and it will be done especially online. In the future you can also choose to become a tour guide and travel agent. Depending on the workload you may also be asked to help with tour management tasks such as bookings, creating travel guides or administrative tasks. It can be a part time or full time job. You will be offered support in case you are interested in becoming a tour guide or travel agent. You will constantly learn more about your country and 1 or 2 times a year you will travel inside the country to better get to know the regions. ​Your remuneration will depend on your capacity to perform against the goals and tasks you will have. The net salary in the first year can vary, depending on your skills, between 700-1200 RON for a part time job (4h/day) and 1800-2400 for full time job (8h/day). The higher bracket amount is for a candidate who has the needed skills to perform from the first months. As you will gain more experience and are able to deliver better results, your salary will increase. What is your motivation to apply for this job? What are your top 5 favorite places in Romania that you visited? It can be towns, churches, resorts, mountains, villages … you name it. Please briefly explain why you like those places. What are your top 5 favorite places outside Romania that you visited? Please briefly explain why you like those places. What is the monthly net salary you expect to receive in the first 1 year on this job? Please write a 150 words proposal of a 2 days tour of your hometown and nearby area for 2 foreigners. Please provide complete, detailed answers otherwise your application will not be taken into consideration.The answers to those questions are more important even than your CV as we are trying to assess your level of writing in English which is essential for us and also your travel experience and profile. Personalized applications, in English, are appreciated and taken into consideration. Please submit your application by May 1st 2019 at 23:00. Do you know someone who might be interested in this job? Please share this opportunity with them!